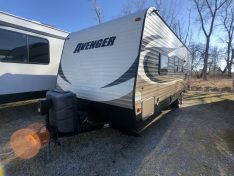 Used RVs For Sale Bay City, Michigan | Best Pricing Around! 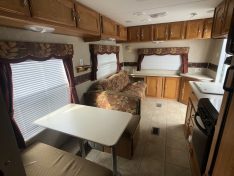 Are you looking to buy a used Camper in Michigan? 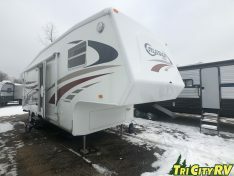 Tri City RV has a full lot of used Travel trailers, used 5th Wheels, used Toy Haulers, and used Hybrid Travel Trailers. 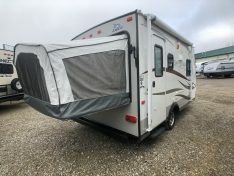 All of our used RV’s are carefully inspected for water damage, delamination, and other conditions that may affect their operation before they are traded in. 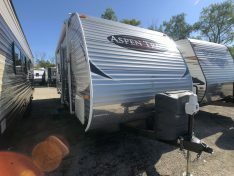 We also re-pack the wheel bearings, perform a rigorous systems check and reseal the entire coach before a new customer takes delivery on their pre-owned camper. 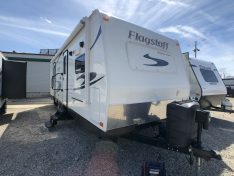 Below you will find a variety of used Travel Trailers and pre-owned Fifth Wheels that will fit anyone’s budget. 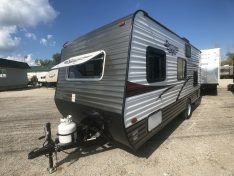 For more information on our current used RV inventory please call or email us. The 2013 Jayco Feather 17Z is a lightweight travel trailer with 2 tent pop-outs. 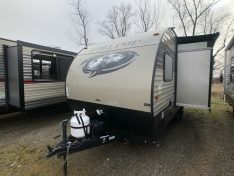 The Forest River Wolf Pup 180TO is a lightweight single Axel travel trailer with one slide out. 2014 Bunk House Travel Trailer. Sleeps up to 10!